On 7 December 2017, the Supreme court of Mongolia held the final hearing. On 7 December 2017, the Supreme court of Mongolia held the final hearing on the case relating to shareholder’s dispute of Erdenet Mining Corporation LLC (“EMC”) and ruled in favor of Mongolian Copper Corporation LLC (“MCC”). Pursuant to the Supreme court judgment, the Government Agency of Intellectual Property and state registration has reinstated MCC as the 49% shareholder of EMC and issued renewed certificate of legal entity on 28 December 2017. It is an important development that in order to implement the Supreme court judgment, the Government Cabinet Secretariat office has delivered a guidance to the Government agency for policy coordination and state property and the Governfment Agency of Intellectual Property and state registration, defendants in the case, instructing them to reinstate interest and share ownership of MCC according to the Constitution and other legislations of Mongolia. The current government’s action shows critical aspect of rule of laws system by rescinding the previous government’s decision, which found illegal by the Supreme court. 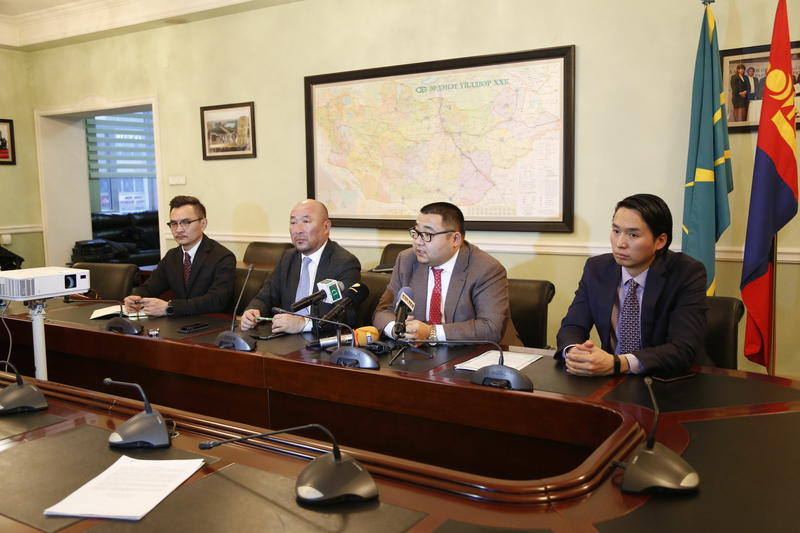 The final decision on the case, which has lasted over a year, in respect to shares of and future of EMC as the public-private partnership company not only demonstrates rule of law in local businesses but also an important step for Mongolia to maintain its investment friendly status for foreign investors. This dispute was not only the case of MCC but also showed that hundreds of foreign and local investors, and thousands of local companies can protect their legal and commercial interests pursuant to rule of law and by independent judiciary in Mongolia. In further, MCC expects that the majority shareholder shall honor and follow the Company law of Mongolia by respecting the minority shareholder’s interest and cooperate with MCC to increase the efficiency, tax payment to the budget and create better work environment for the thousands of employees of EMC.